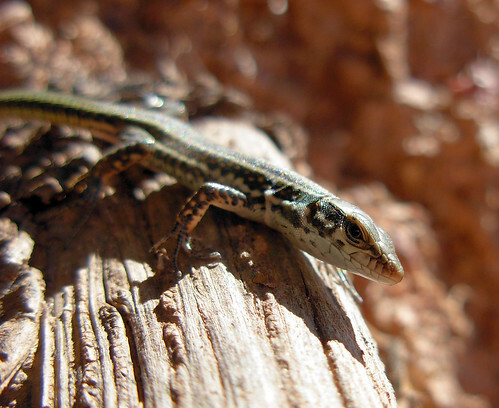 Can you confirm these amateur observations of Podarcis tiliguerta? 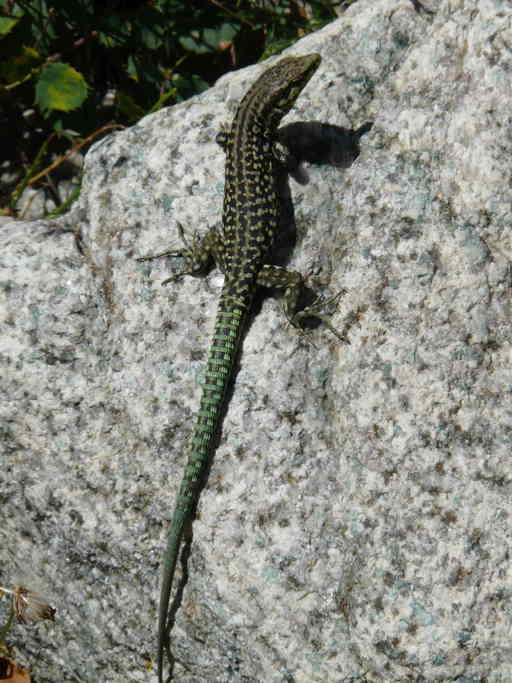 contii: France (Corsica); Type locality: Piana di Cavallo Island, Corsica, France. grandisonae: France (Corsica); Type locality: Vacca Islet, Corsica, France. 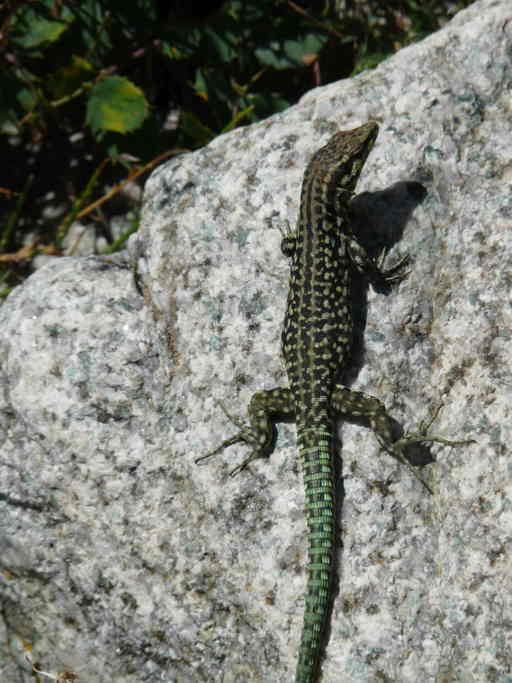 pardii: France (Corsica); Type locality: Giraglia Island, Corsica, France. ranzii: Molarotto Island; Type locality: Molarotto Islet, Sardinia, Italy. 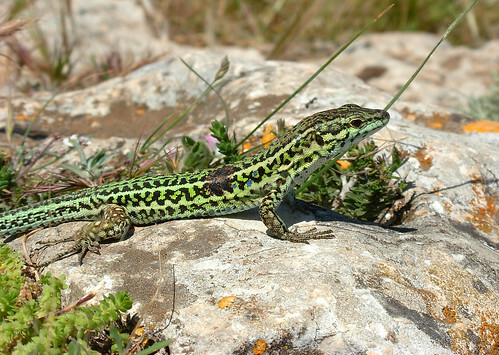 Comment Synonymy: Lacerta tiliguerta var. corsica BEDRIAGA 1883 is a nomen illegitimum fide Schneider 1986: 368. 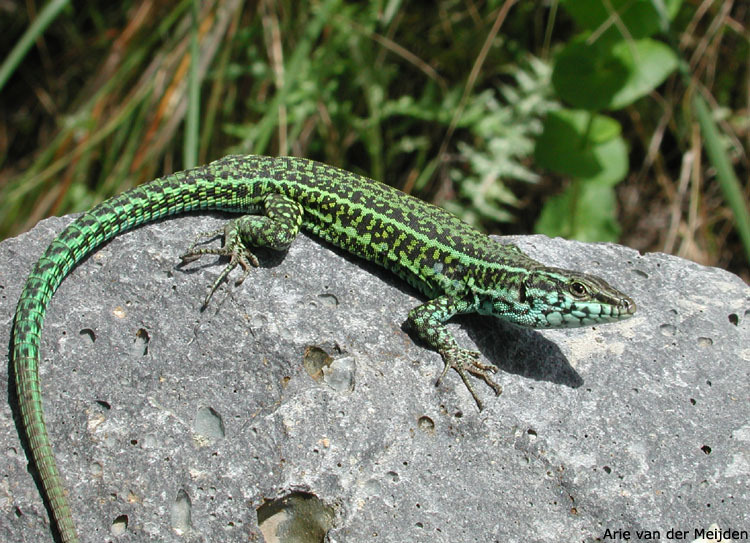 Hybridization: Capula (2002) provides genetic evidence of natural hybridization between Podarcis siculus and Podarcis tiliguerta. 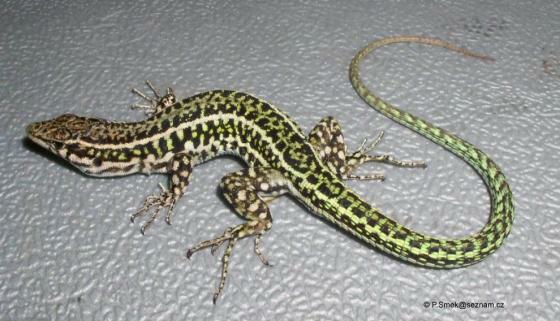 The hybrid specimens appeared morphologically intermediate between the parent species. 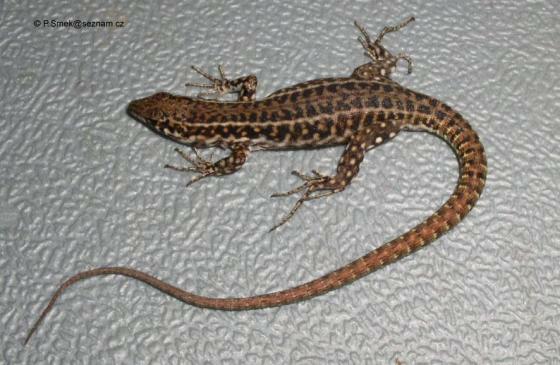 The absence of backcrossed individuals indicate that free interbreeding between the two species is unlikely. 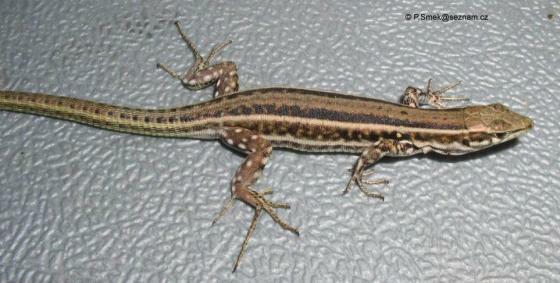 Hybrids were found in areas of habitat disturbance only. 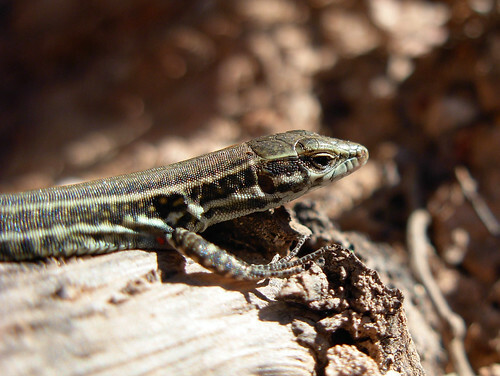 Diversity: P. tiliguerta showed 4 main clades across Sardinia and Corsica (Salvi et al. 2017). However, Bruschi et al. based on 11 pholidotic characters failed to identify diagnostic characters between and within Corsican and Sardinian populations. 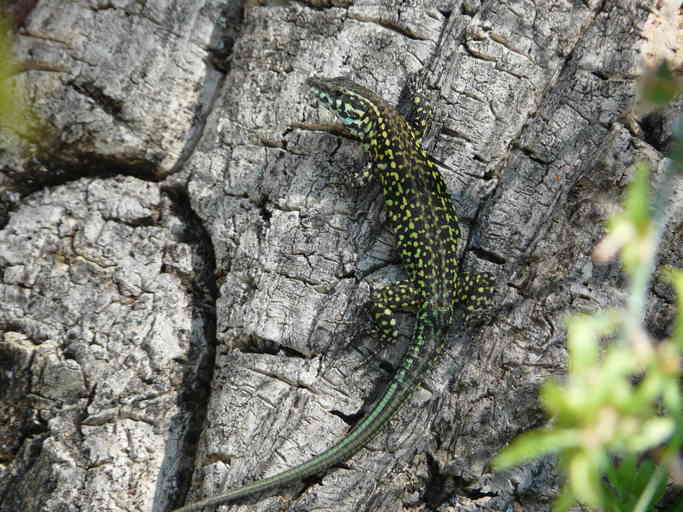 Podarcis tiliguerta eiselti (LANZA 1972) was named after Josef Eiselt, Austrian herpetologist. 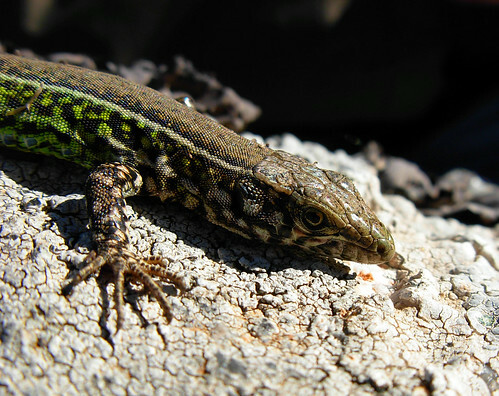 Podarcis tiliguerta grandisonae (LANZA 1972) was named after Miss Alice G. C. Grandison of the British Museum of Natural History, London. Bassu, L.; V. Nulchis, M. G. Satta, C. Fresi & C. Corti 2008. 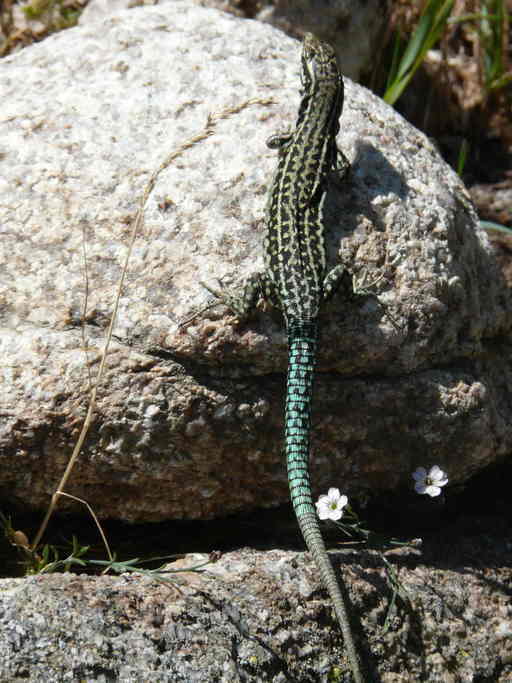 Atlas of amphibians and reptiles of Sardinia - state of the art and general considerations. 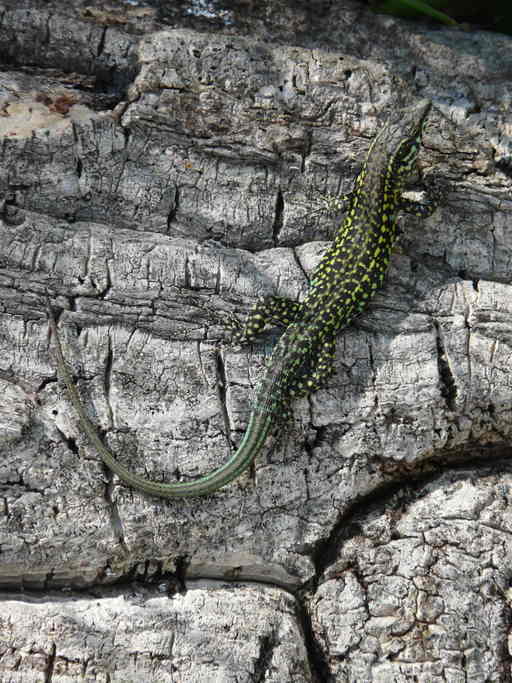 Herpetologia Sardiniae (Claudia Corti, ed. ), Edizioni Belvedere, 504 pp. Capula, M. 1996. 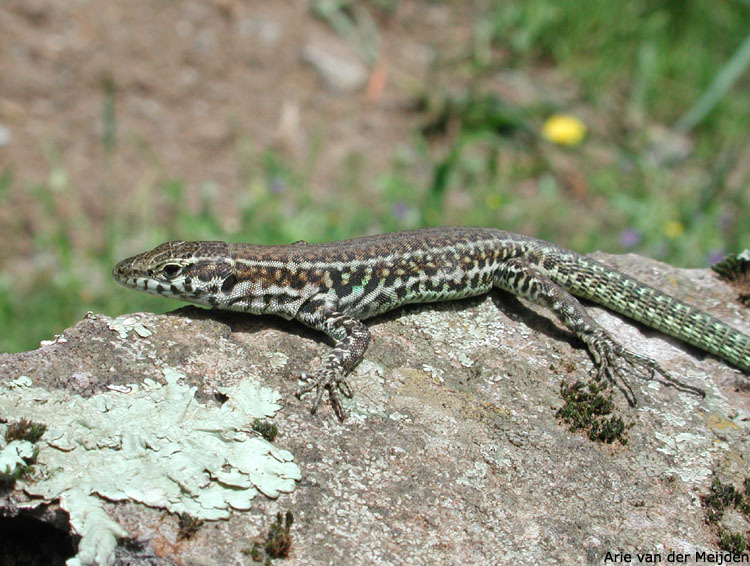 Evolutionary genetics of the insular lacertid lizard Podarcis tiliguerta: genetic structure and population heterogeneity in a geographically fragmented species. Heredity 77: 518-529. Corti, C.; S. Bruschi, G. Spano, M. Putzu, L. Luiselli, P. Lo Cascio & A. Navone 2008. 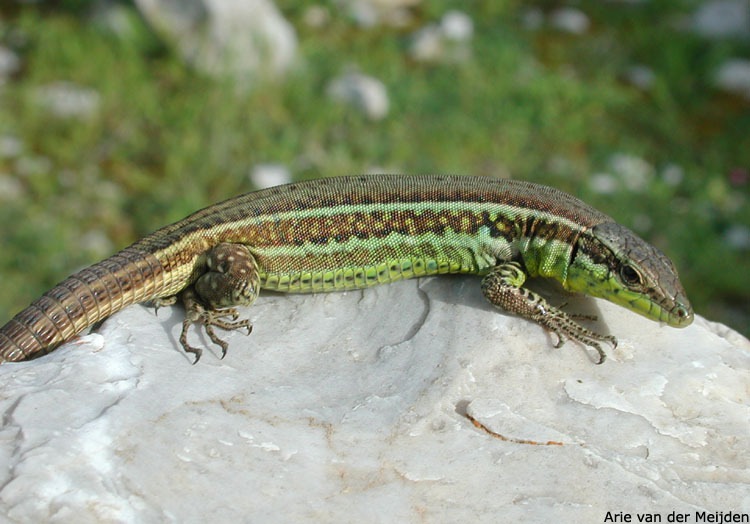 The herpetofauna of the "Area Marina Protetta di Tavolara - Punta Coda Cavallo" and, morphological and preliminary ecological observations on Podarcis tiliguerta ranzii of Molarotto Islet, NE Sardinia, Italy. 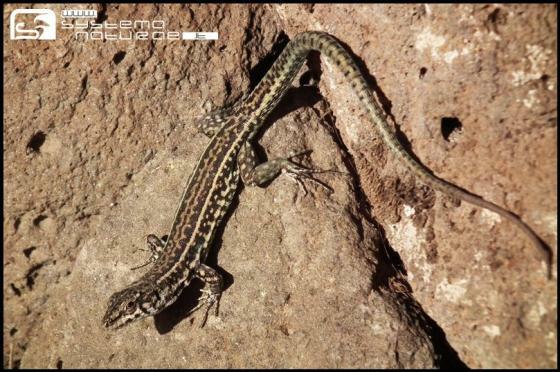 Herpetologia Sardiniae (Claudia Corti, ed. ), Edizioni Belvedere, 504 pp.